Are you ready for it? We aren't sure you are, so we are going to give you a minute. Still with us? Okay. Airport looks may well be the new, well, everything of fashion, especially with celebs taking off every now and then for work commitments as well as vacays. However, it's not every day that you will see a bevvy of Bollywood looks together, and when you do, it's a lucky day indeed! 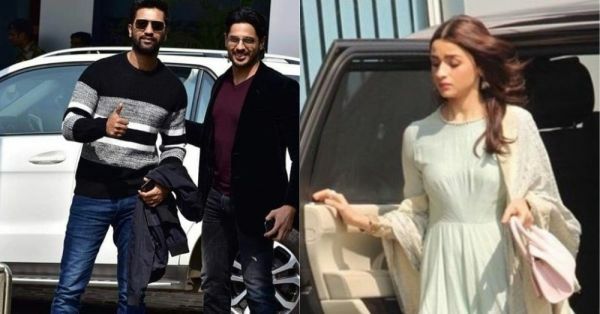 Today was one such day, as leading Bollywood stars took off to meet Prime Minister Narendra Modi for a discussion related to films, and the impact they have on our society at large. Ranbir Kapoor, Ranveer Singh, Alia Bhatt, Bhumi Pednekar, Vicky Kaushal, Sidharth Malhotra, Raj Kummar Rao, Rohit Shetty, Varun Dhawan, Ekta Kapoor and Karan Johar put their best foot forward for the jet setting style, but this time it was the boys who stole the thunder! Check out the airport looks to see what the Bollywood stars wore. 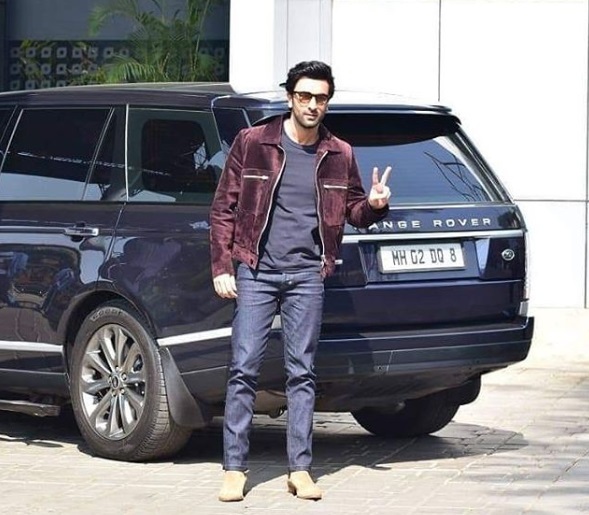 Ranbir Kapoor kept it casual in a pair of jeans and a blue tee, completing his look with a jacket. 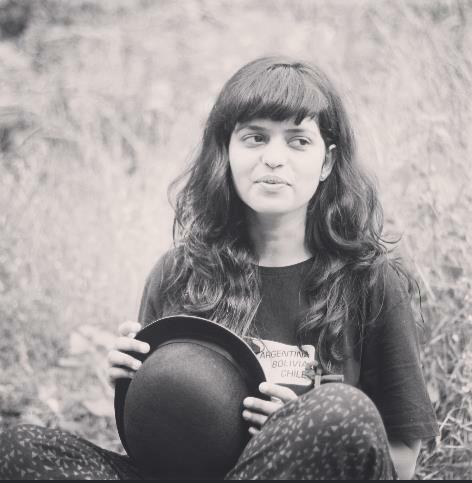 The Gully Boy actress chose to wear faded pastel ensembles. Films, fashion and an awe-inducing airport look. Is there anything Ranveer Singh cannot do? Bollywood's (and our) favourite boy Vicky Kaushal and dapper Sidharth Malhotra struck a pose together in their super-comfy and casual looks. 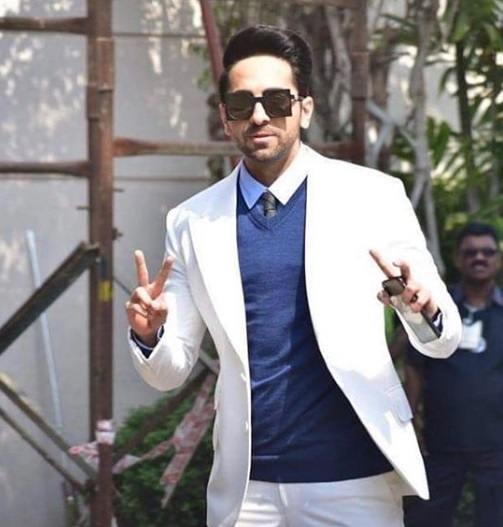 The Andhadhun actor kept it sleek and smart in a white suit, worn with a pop of blue colour. Don't you miss his tie! 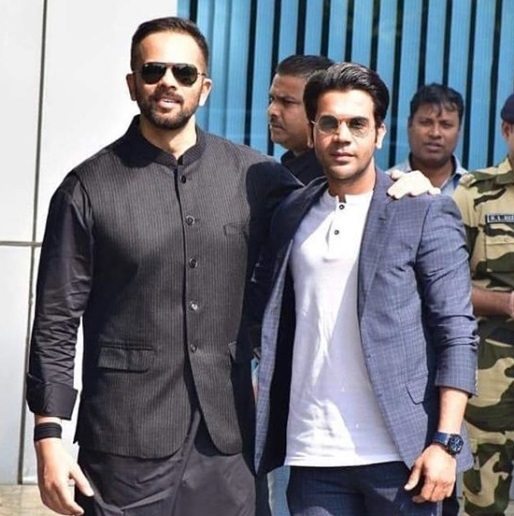 Rohit Shetty chose to work a black and white look in a kurta-pyjama paired with a waistcoat, while Raj Kummar Rao stuck to failsafe western outfits. A blue pair of trousers, a blazer and a crisp white shirt (with a tie, of course) were the order of the day for Varun Dhawan. 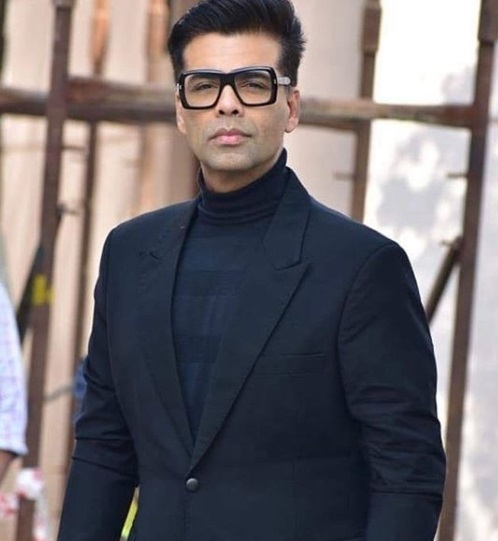 Donning H2T black to meet PM Narendra Modi was filmmaker and TV host Karan Johar. It's definitely raining looks, and we have the boys from Bollywood to thank for it!